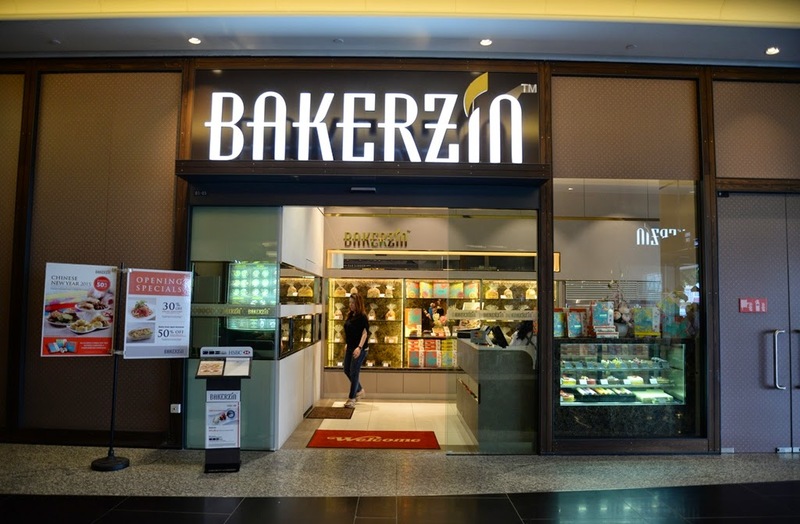 Many may not realise but Bakerzin has been around in Singapore for the last 17 years with 10 outlets located island-wide! 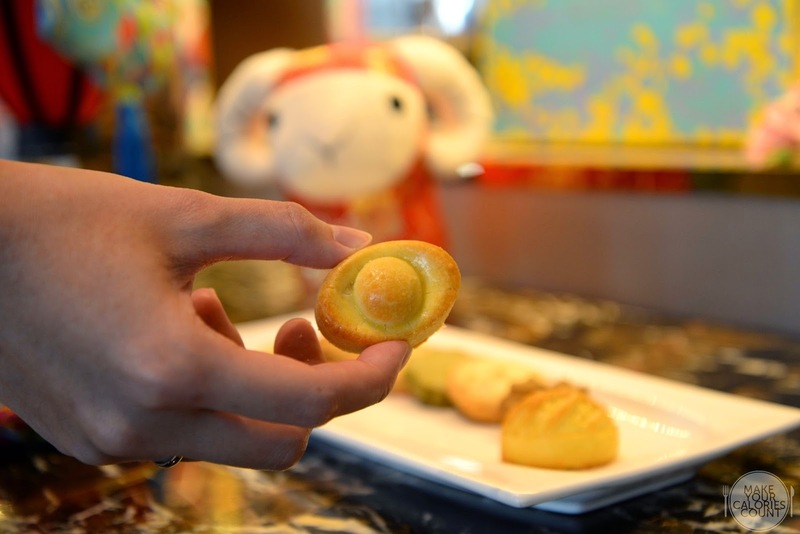 Better known for their desserts, Bakerzin has launched its inaugural Chinese New Year set menu on 5 February 2015 which will be available for a month till 5 March 2015. While diners can expect to indulge in some new festive dishes at the various outlets, it would be worth noting that Changi Airport Terminal One is the only outlet that does not offer the set meal. With a choice of two appetisers and two mains to choose from, the two-course set meal comes at S$18.80/++ and includes a complimentary iced lemon tea. 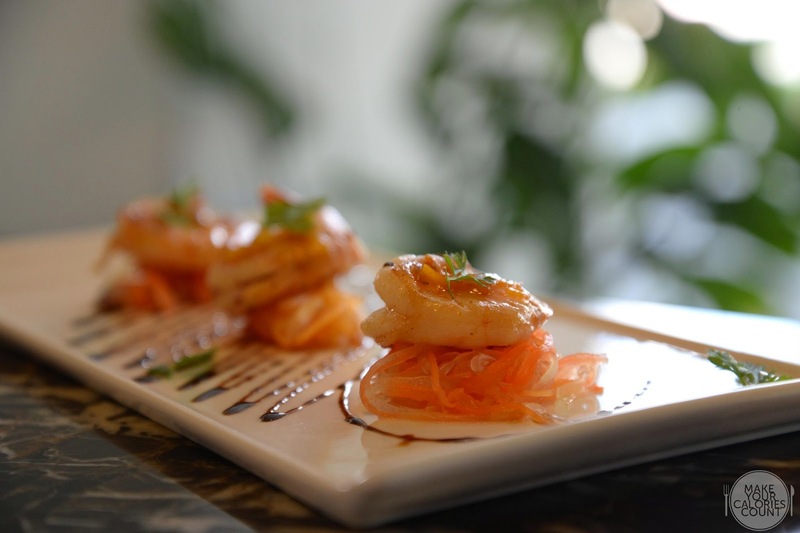 The pan-seared Tiger Prawns were a refreshing start to whet one's appetite with a tantalising coat of kumquat marmalade glaze dressed with shredded carrot and green papaya pickle. The subtle hint of acidity was beautifully balanced by the stout reduction that was artfully drizzled across the plate. 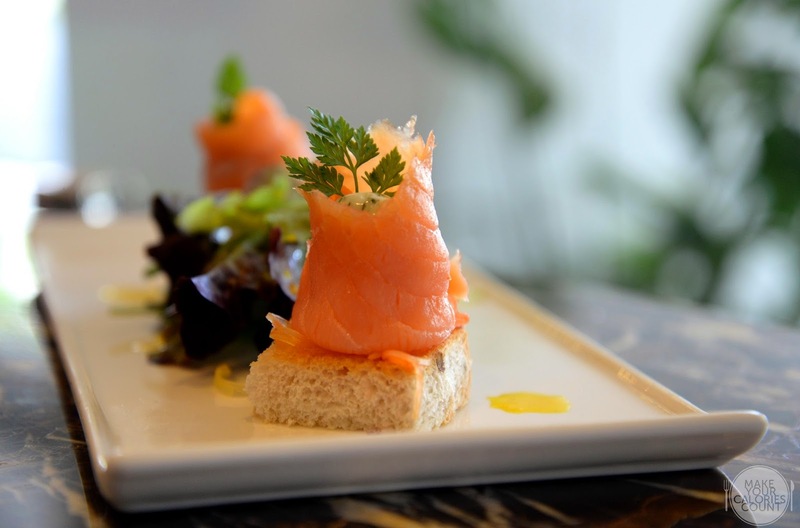 The smoked salmon rosette was delicately plated on a slice of home-made bread. The dill cream, carrot and green papaya pickle within the rosette harmoniously balanced the savouriness of the smoked protein. While we would have preferred the home-made bread to be slightly more toasted, the fresh crisp mesclun salad was more than enough to please our palate with its texture. 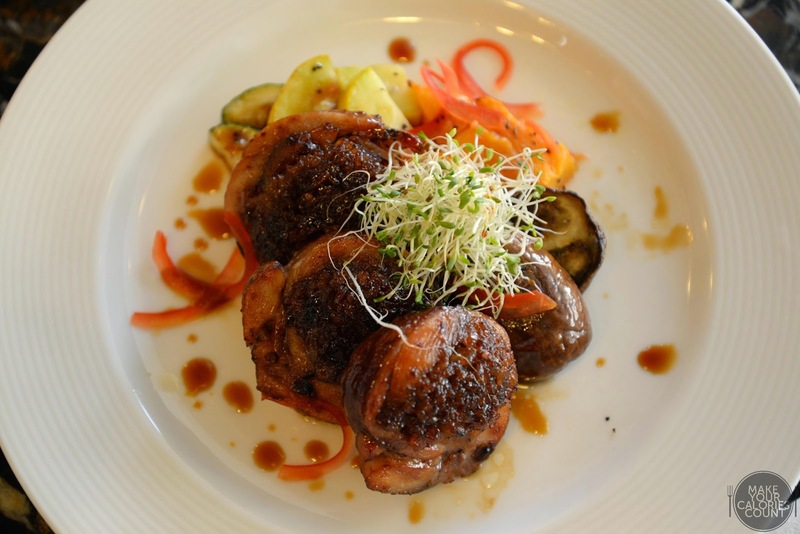 A clever blend of Western culinary skills and Oriental flavours, the oven-roasted chicken roulade stuffed with glutinous rice, dried shrimp, dried scallop, diced mushrooms, macadamia nuts would surely appeal to those with a preference for bold flavours. Apart from the fragrance of the glutinous rice that drew our attention, the succulent chicken was a joy to savour. The flavour-rich marmite sauce that dressed the dish connected the accompanying baby eggplant, zucchini and butternut pumpkin to the main roulade. Overall, a very enjoyable dish indeed! 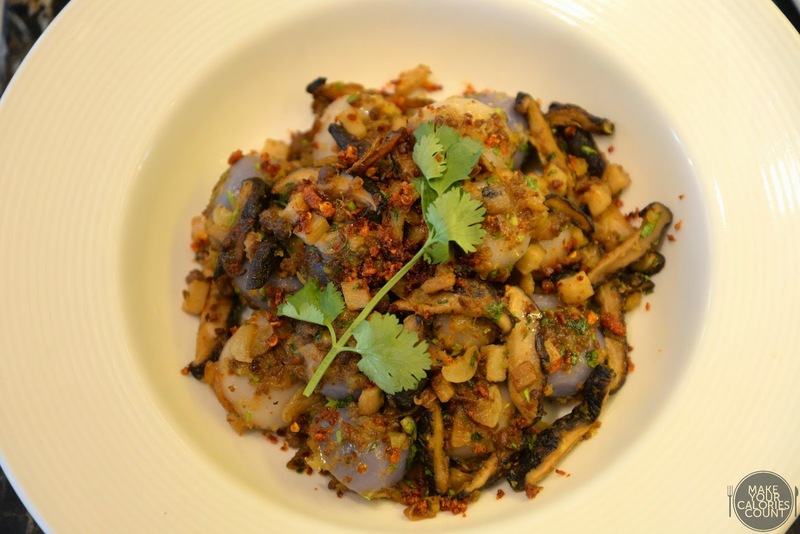 A popular Hakka dish typically served during auspicious occasions such as Chinese New Year and even weddings, the yam and purple yam abacus was served with minced pork, sliced shiitake mushrooms, lotus root, dried shrimp and chilli padi, Bearing a ball-like shape, it was specially created to resemble the beads of the abacus and signifies wealth. Intended to be soft on the outside and chewy on the inside, its closest relative in the Western form would have to be the gnocchi. With a fiery temper to the dish, be prepared to take a punch of heat from the first mouthful though the spice level could be adjusted by informing the staffs before-hand not to add in too much chilli flakes. While the flavours were spot-on, I would have enjoyed it better if it was slightly chewier on the inside. Definitely a must-have on a sunny day! 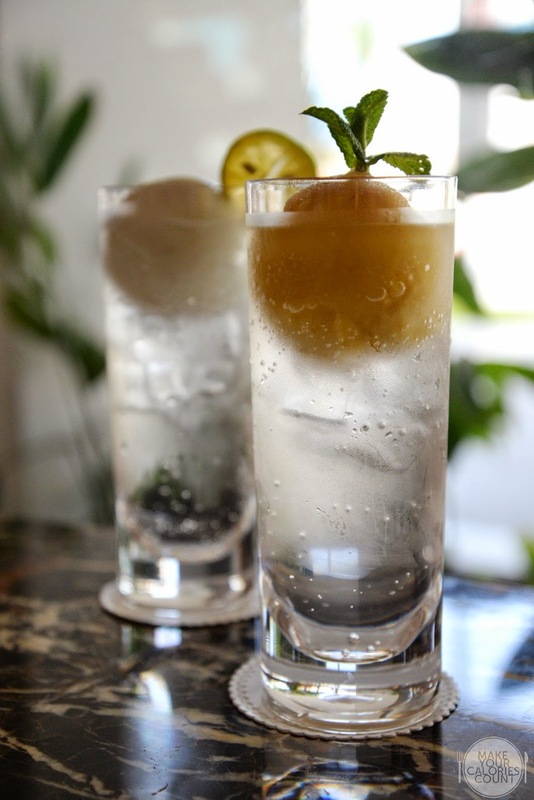 If you are a fan of lime sorbet, you will not be disappointed as the robust flavours of the tangy lime will cut across the sweetness of the soda drink. The mango passion drink on the other hand also had a good balance of sweetness and acidity, a dessert and a drink in one! Our every visit to Bakerzin has never ended without a gratifying dessert and this trip was no exception! 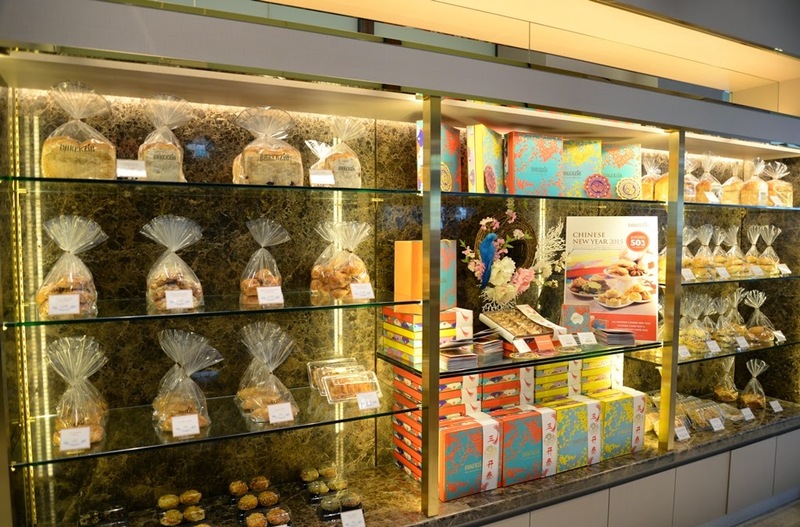 Instead of the usual cakes, we tucked in to an array of pineapple tarts and cookies. Individually wrapped to ensure freshness and cleanliness, they would fit the bill for gifts! 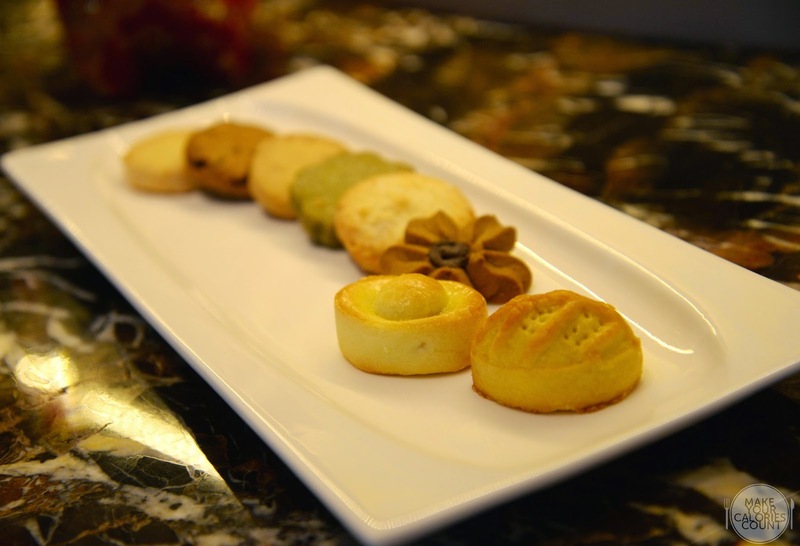 These ingot-shaped pineapple tarts contained a mildly sweet and fresh pineapple jam which would go perfectly with a cup of coffee or tea. While the pastry was crumbly soft and delicious, we prefer a stronger buttery oomph regardless the sinful calories! With five new flavours - Cashew Nut, Coconut Macadamia, Coffee, Green Tea and Ginger, it joins a returning favourite - Pistachio & Cranberry Chocolate Chips to be sold in an assorted box with five pieces each. While we enjoyed the flavours, we are typically fans of a crumbly rendition than relatively stiff ones like these. Beat the crowd by placing your confection orders online and enjoy a 15% discount from 19 January to 2 March 2015! Do note that the website may be down for booking as they are overwhelmed with orders but do check back regularly as they will re-open for bookings. 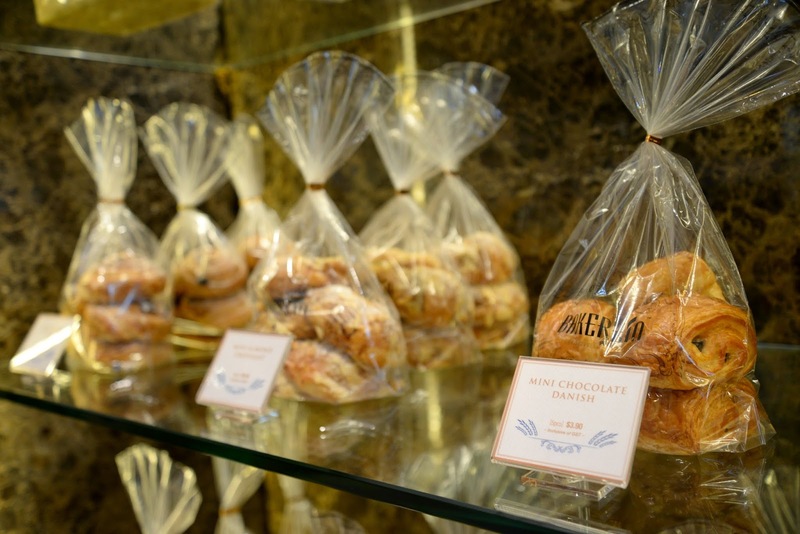 Also, OCBC and HSBC card holders can enjoy a 15% discount for purchase at Bakerzin outlets from 19 January 2015 to 5 March 2015. 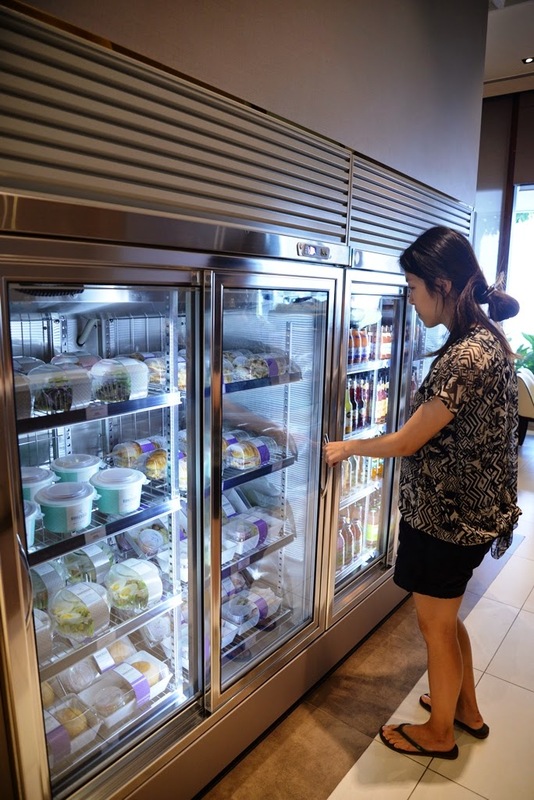 Last but not least, the latest outlet, Connexion @ Farrer Park has introduced a series of new products suited for the busy working crowd. Specially packed meals are now available to go and how I wish these are available at Raffles Place! 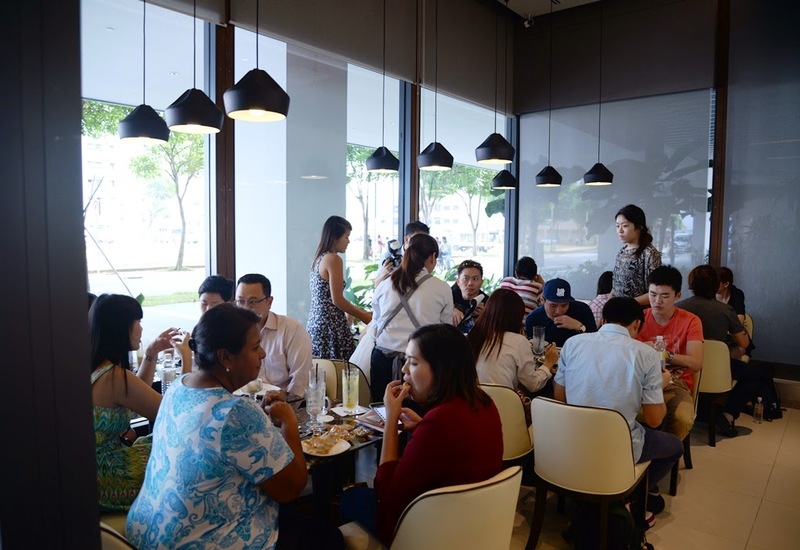 With two seating areas fit to house some 54 guests, this latest outlet of Bakerzin is conveniently located within a short walking distance from Farrer Park MRT station. The customer service at this outlet was particularly welcoming and while it may be a little far from our usual hideout areas, the value-for-money Chinese New Year set meals are more than sufficient to make us return on a separate occasion at one of their other outlets! P.P.S. Special thanks to Veronica for the invite and Bakerzin for having us!